↑ ୧.୦ ୧.୧ ୧.୨ ୧.୩ CRC 2006, p. 4.56. CRC contributors (1991). Walker, Perrin; Tarn, William H., eds. Handbook of Metal Etchants. CRC Press. ISBN 978-0-8493-3623-2. CRC contributors (2006). Lide, David R., ed. Handbook of Chemistry and Physics (87th ed.). CRC Press, Taylor & Francis Group. ISBN 978-0-8493-0487-3. Cunningham, B. B. (1968). 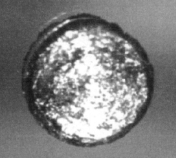 "Californium". In Hampel, Clifford A. The Encyclopedia of the Chemical Elements. Reinhold Book Corporation. LCCN 68-29938. Haire, Richard G. (2006). "Californium". In Morss, Lester R.; Edelstein, Norman M.; Fuger, Jean. The Chemistry of the Actinide and Transactinide Elements (3rd ed.). Springer Science+Business Media. ISBN 978-1-4020-3555-5. Jakubke, Hans-Dieter; Jeschkeit, Hans, eds. (1994). Concise Encyclopedia Chemistry. trans. rev. Eagleson, Mary. Walter de Gruyter. ISBN 978-3-11-011451-5. O'Neil, Marydale J.; Heckelman, Patricia E.; Roman, Cherie B., eds. (2006). The Merck Index: An Encyclopedia of Chemicals, Drugs, and Biologicals (14th ed.). Merck Research Laboratories, Merck & Co. ISBN 978-0-911910-00-1. Seaborg, Glenn T. (2004). "Californium". In Geller, Elizabeth. Concise Encyclopedia of Chemistry. McGraw-Hill. p. 94. ISBN 978-0-07-143953-4.